Amino acids are a class of organic molecules that serve as building blocks (monomers) of protein polypeptides, the great variety of which plays a crucial role in all organisms. All amino acids have a common amine+acid groups and differ by the attached side chain. Most amino acids are chiral. Here is a generic representation of an amino acid. The nitrogen bound to the three hydrogens is called the amine group (left side) and the carbon double bonded to an oxygen and single bonded to an O-, which is a deprotonated acid (top). These are the features found in all amino acids. What makes them distinct is the varying attachment (the side chain), which is represented by R in this picture. The two enantiomers are shown. The simplest possible attachment R is another hydrogen molecule. Such a molecule is then the simplest amino acid called Glycine. In fact, out of the 20 “essential” amino acids (i.e. ones that are found in proteins), Glycine is the only achiral one because it has two identical substituents on the central or α-carbon. A wide range of amino acid types are found on earth. Follow this link for the list of 20 amino acids essential for human life. Capillary electrophoresis is a type of electrophoresis where the separation channel is shaped as a thin tube. This geometry greatly improves the heat transfer of the system and therefore permits very high voltages to be applied without boiling the solution. The high voltages result in the increase of the speed of the whole process, which also significantly improves resolution. Chiral separation is a type of separation used to sort out a mixture of molecules according to their chirality. Chirality is a structural property of an object. An object is said to bechiral if its mirror image can not be superimposed with itself by the means of rotations. The most familiar example of a chiral object is our hand. To see this, we first have to convince ourselves that our two hands are mirror images of each other. Then we can spend hours rotating our two hands around and trying to superimpose them point-to-point, only to find out that it is impossible. Thus a human hand is a chiral object. An object is said to be achiral if its mirror image is its exact replica. The simplest example of an achiral object is a sphere. Not surprisingly, molecules (just like any other object in space) can also be chiral or achiral. Two forms of a chiral molecule are isomers called stereoisomers. Many organic molecules are chiral since they have complex structures and are often asymmetric. Moreover, this (seemingly subtle) difference in chirality plays an important role in the biological activity of a molecule. Amino acids are good examples of this. Here is an example of the simplest chiral molecule – a carbon with 4 different atoms bonded to it. 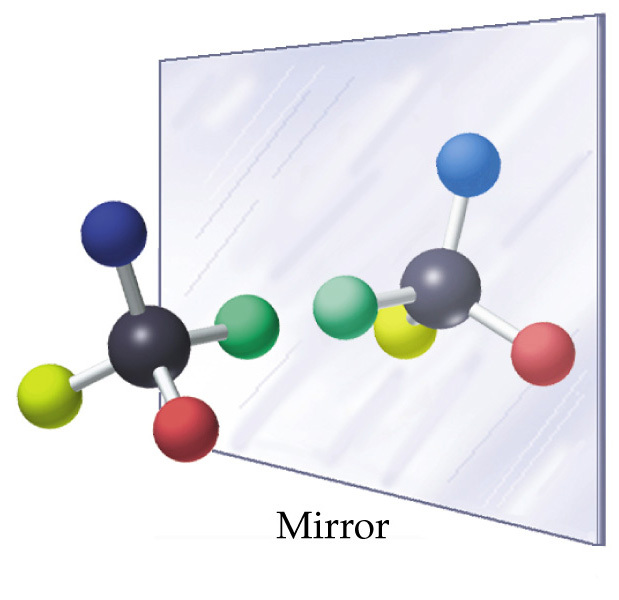 The mirror image and the molecule itself can not be superimposed by the means of rotations. Such a central carbon is called the chiral center. Cyclodextrins are a class of chiral, organic molecules that are made up of D-glucose subunits (monomers) arranged in a circle. This arrangement creates a non-polar, hydrophobic cavity (a bucket in plain terms) and hydrophilic outer groups, which make this whole “bucket” slightly soluble in water. Here is a schematic representation of a cyclodextrin molecule. Notice that most carbons here are chiral contributing to the overall chirality of the molecule. Depending the number of subunits, this could be α, β, or γ cyclodextrin (β-cyclodextrin is shown). Detection method is a way used to detect the molecules at a point in the separation channel where it is assumed that the separation is complete. There are many different detection methods, each suitable for a specific procedure e.g. flame ionization, mass spectrometry, fluorescence spectroscopy etc. Some detection methods (such as fluorescence spectroscopy) are quantitative rather than qualitative – they tell us how much of the molecule there is, not what molecule is there. In separations molecules are instead identified by their unique migration time. Electrophoresis is a separation method, which is generally used to perform separations of molecules based on their size and charge. There are different types of electrophoresis such as slab gel electrophoresis and capillary electrophoresis, however the general principle behind all of them is the same: molecules to be “sorted out” are placed at the beginning of a channel filled with a running buffer. 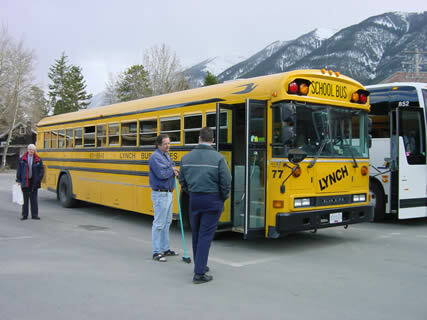 A high voltage is applied between the two ends of the channel and serves as the driving force for the sample molecules, which most of the time have a charge. Negatively charged molecules migrate toward the positive electrode and vice versa. If two molecules have the same charge and differ only by size, the smaller molecule will travel faster as it experiences a smaller drag force. Also, the greater the charge on a molecule the faster it will travel since the force exerted on it by the electric field is greater. The basic physical principle that is employed here is that the magnitude of the force on a charged particle is proportional to the magnitude of the charge and to the magnitude of the voltage (i.e. FµQ*V). Another driving force that is often at work in electrophoresis is the so-called electroosmotic flow (EOF). This general flow of the running buffer occurs under the following circumstances: the walls of the channel have to be made out of glass, the running buffer has to contain an appreciable amount of charged species dissolved in it (the latter is almost always the case – see running buffer), and the buffer solution has to be basic. What happens under these conditions is that the glass wall surface becomes negatively charged and attracts the positive ions in the running buffer. Such a congregation of positive charge is attracted toward negative electrode and “pulls” the whole solution along with it. Thus, if EOF is present, there is an overall movement of the running buffer; all of the species are carried by the flow toward the negative electrode, it is only that the positively charged ones make it faster than the negatively charged ones. The neutral species end up between the positive and the negative ones. Fluorescence is the emission of light by a molecule as an immediate consequence of absorption of a certain wavelength of light. Fluorescence is given off at a longer wavelength than that of absorption (less energetic – “redder” - photons are given off compared to those absorbed). This “red shift” is due to the fact that not all of the absorbed energy is released back as light (electromagnetic radiation). Some of the absorbed energy is lost as heat in the process called vibrational relaxation. In molecules that are not fluorescent, all of the absorbed energy is released by processes other than the emission of light (vibrational relaxation is one of them). Not all molecules are fluorescent (as a matter of fact the majority are not). 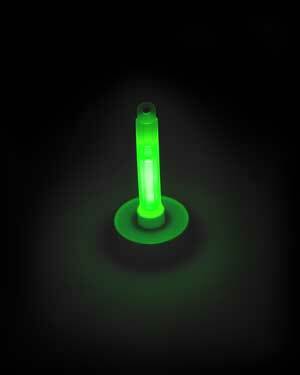 The outcome of fluorescence is the similar to that observed in glow sticks (glowing rods used at parties). In the glow sticks, however, the process employed is chemiluminescence – light emitted as a result of a chemical reaction, not as a consequence of light absorption as in fluorescence. Fluorescence spectroscopy is a detection method, which employs the fluorescence of molecules as a signal to be picked up by a detector. A laser of a specific color is shined on the sample. This serves as the excitation source and the fluorescent molecules emit light, which can be detected. If a molecule that needs to be detected is not fluorescent itself, it needs to be labeled before the separation begins (see amino acid labeling). 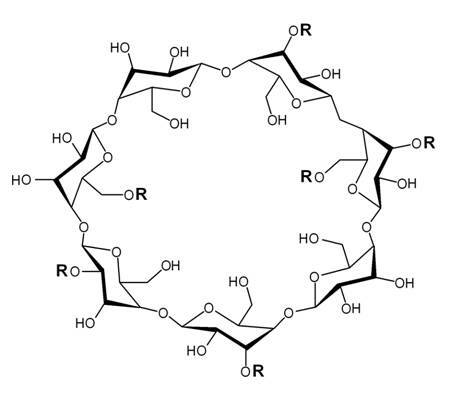 Hydroxypropyl-β-Cyclodextrin (HPβCD) is a specific molecule in the cyclodextrin family characterized by a certain size of the inner cavity and with hydroxypropyl groups bound on the rim making it more soluble in water and giving it a deeper cavity. Homochiral solution of a molecule is one where all molecules have the same chirality. To put it another way, only the “right hand” or only the “left hand” is present. Isomersare two or more molecules that have the same chemical formula (numbers and ratios of component atoms), but different geometries. Two isomers can be inter-converted only by breaking and then re-forming chemical bonds in a different way. Some simple molecules have only one possible conformation, while most can exist in two or more. There are two types of isomers – structural isomers and stereoisomers. Structural isomers differ by the connectivity of the individual atoms to each other. The difference between two stereoisomers, on the other hand, is not as readily evident; it is based upon the different relative arrangement of atoms in space. The two molecules shown below are examples of structural isomers. Notice that the two have the same chemical formula (it is only written differently to emphasize the grouping of the atoms). Also notice that the connectivity is different in the two cases. For example, in the isomer on the left the oxygen atom (orange) is bound to one hydrogen (white) and one carbon (black), while in the one on the right the oxygen is bound to two carbons. Labeling agentis a fluorescent molecule used in amino acid labeling or in the labeling of any other non-fluorescent molecules. Microfabrication is the process of manufacturing features on a nano to micro scale using a set of methods such as photolithography and etching. A familiar example of microfabrication is the modern production of computer microprocessors, which is a constant race to fit a larger number of electrical components onto a smaller area. The microfabricated channels in the MOA are the same size as a human hair! Migration time - Each molecule has a unique time that it takes it to travel a certain distance in a certain running buffer under a certain voltage. Knowing these times makes it possible not just to detect, but also to identify the molecules as they reach the detection point in the channel. Organic molecules are a class of molecules, which contain mainly carbon, nitrogen, oxygen, and hydrogen. The carbons are arranged in chains with groups made up of N, O, and H attached to them. Living organisms are primarily made up of and utilize organic molecules for most biological processes. Racemic solution of a molecule is one where the two chiral forms are present in a 50/50 ratio. 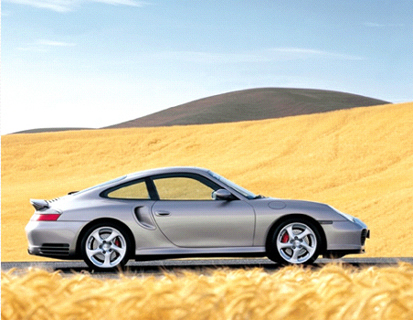 Resolution is a measure of how well one can distinguish two things apart from each other. Taking, for example, an electrophoretic separation, the resolution is high if the migration times of two species are not too close to each other. This means that the peaks created by the detector are spread out in time and thus are least likely to overlap (it also depends on the width of the peak). If the peaks are so closely spaced in time that they overlap, the resolution is said to be poor. Running buffer is a buffer solution, which also contains auxiliary dissolved species, which enhance the specific procedure that is being carried out in this solution. Separation is a method devised to sort out a mixture/solution of molecules according to some characteristic of interest. For example, the same mixture of molecules can be separated based on different physical/chemical properties such as molecular mass, molecular size, charge, boiling point, solubility, chirality, etc. Each type of separation requires different techniques and has its own insights and challenges. Separation is an important tool frequently used in chemical research and industry. Sublimation is a phase change during which a substance in a solid state is transformed into a gas without going through the liquid phase. This process occurs only at a certain, narrow range of temperatures and pressures, and these parameters vary from substance to substance. For example, water in its solid state (ice) melts, producing liquid water at standard temperature and pressure. 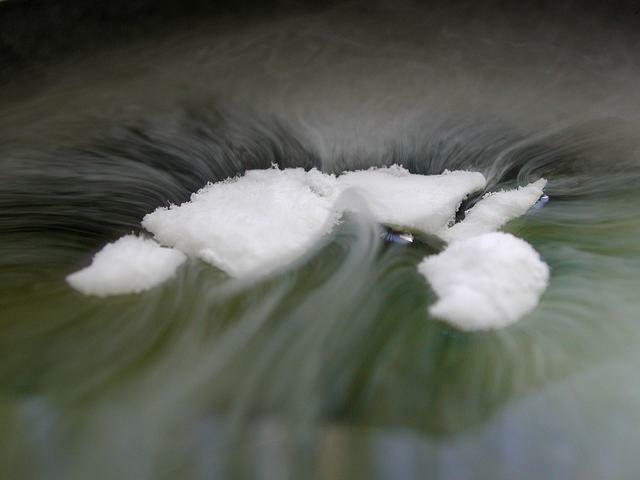 Dry ice (solid CO2), on the other hand, sublimes under the same conditions – it goes directly from solid to gas state.